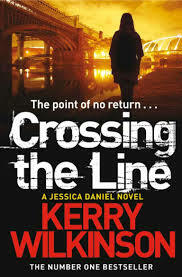 The publisher, Panmacmillan, very kindly provided me a proof of Crossing The Line, this the first novel by Kerry Wilkinson that I’ve read so far. I did find this extremely hard to get into, it just did not grab me I think it is because this is the first book I have read in the Jessica Daniel series I understand I have started from series 2. I did plough my way through. I loved the descriptions of Manchester (I have never been). Kerry’s attention to detail is amazing which kept me with the book I think any new writers should take note. I think before I read anymore of this series I will need to start right from the start.